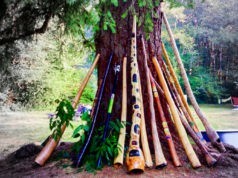 DIDGERIDOO MAKING WORKSHOP WITH LEWIS BURNS ON SUN., AUG. 20. Arrival/Departure: Activities begin the night of Thursday, August 17 at 7pm with dinner and opening ceremony. Activities will end on Sunday, August 20 at 5pm. Ticket cost is $397 for a full event pass. This price includes meals, accomodations, workshops, sweat lodge, concerts and all activities Friday through Sunday. This price does not include the didgeridoo making workshop, details of which you will find below. 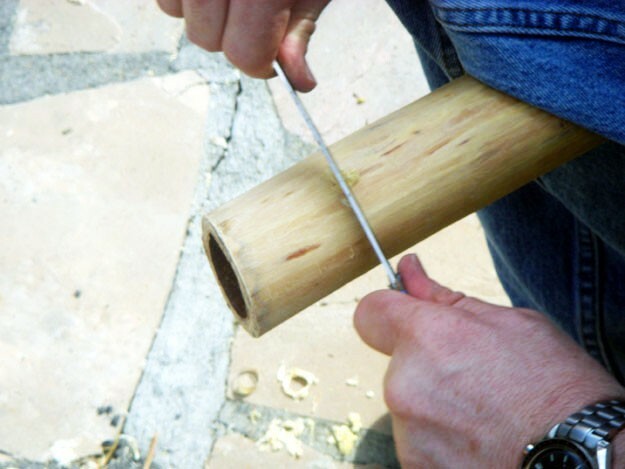 Join Lewis Burns in making your own didgeridoo from a Termite Hollowed Mallee Eucalyptus tree that comes from Australia. This workshop is limited to 5 people and costs an additional $347. Bring your own gloves! 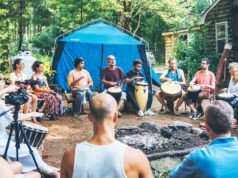 Retreat + Didgeridoo Making Workshop cost is $694 and includes includes meals, accomodations, workshops, sweat lodge, concerts and all activities Friday through Monday. Didgeridoo Making is limited to 5 participants! There will be other workshops happening concurrently for all other attendees. Amit is one of the top beatboxers in the United States, competing in the final rounds of the American Beatbox Championships in 2013, and winning the Midwest Beatbox Battle in 2012 and beating current Grand Beatbox Champion, Kenny Urban, in 2014 at the East Coast Beatbox Battle. Amit has since come together with the top beatboxers in the United States to create the Beatbox House, a beatbox collective based in New York City that tours the world competing, teaching, and blowing minds with the magic of beatboxing. Aum Prakash has traveled the world(s) as a healer and musician spreading positive vibrations to raise consciousness and unite humanity. He brings together sacred world music, healing songs, and conscious hip hop to bridge the ancient and the modern, inspiring an awareness of the sacred and an embodiment of the ceremony. Aum is a student of Maestro Manuel Rufino and lives in Hawaii. 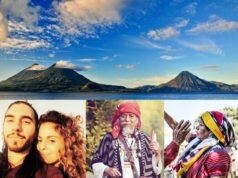 Aside from making music, his passions are sacred healing arts and adventuring with his wife OmniLove and daughter Makani. 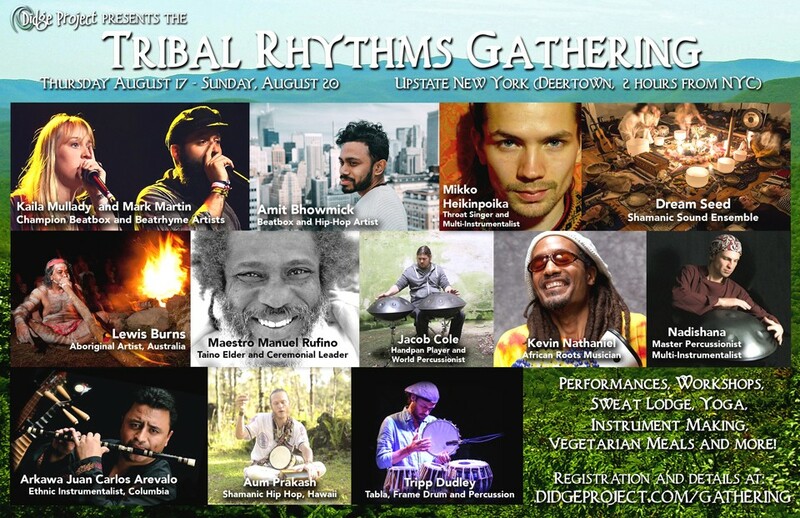 Tripp Dudley is a drummer, tabla player and percussionist based out of Brooklyn, NY. His deep groove and virtuosity across multiple instruments have paved the way for his many journeys around the world with many different musicians. At the age of 10 he started playing guitar, and not long after that he began playing classical percussion with his school band. He soon learned how to play drum set and then started the all day playing sessions that would fill his life for many years to come. At 20 Tripp began attending Berklee College of Music, specializing in drum set performance and frame drums. He quickly started studying Indian rhythmic systems which began a very big part of his future path through music. At 22 he started playing tabla, which has been at the core of his musical practice ever since. Tripp moved to New York City in 2007 to pursue his journey into the professional musical world. 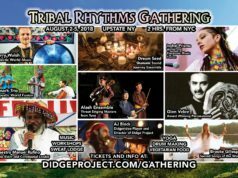 During his years in New York, Tripp worked with musicians from many different genres – prog-rock/metal, hip hop, funk, jazz, singer-songwriter, Indian classical, many different world-fusion groups and even the occasional off-Broadway musical. In 2009 he met his Guruji, tabla maestro Pandit Samir Chatterjee. Tripp currently tours the world over with many different artists. When not on tour he splits his time in the magical bustle of New York. He remains a disciple of Pandit Samir Chatterjee. 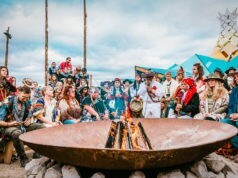 Some of the artists that Tripp has shared the stage and recorded with are: Simrit, Jai Jagdeesh, Bolé, Beth Nielsen Chapman, Snatam Kaur, PHWG, Mirabai Ceiba, Pandit Samir Chatterjee, Dan Weiss, Ezra Landis, Shannon Hayden, Jared May, Maartin Allcock, John Ragusa, Kevin Nathaniel, Salieu Suso, Salif Bamakora, Adam Rudolph’s GO: Organic Orchestra, Matthew Schoening, The Guruganesha Band, Copal, Letha, Highly Kind, and Tablaphilia, to name a few. He also has his own Afro-Indian fusion project called Kaleidhaphonic. Tickets cost $397 for a full event pass OR $150 for a 1-day pass.